Head on over here and fill out the form and you can get a free aromatherapy candle. 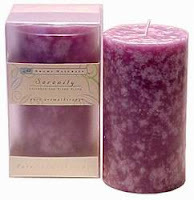 The candle has lavender and hypnotic Tlang Ylang which is suppose to enhance inner balance and well-being. I know I could use some help in that department some evenings! « Price Match and Get All Detergent for only $0.50!